A Vancouver-based mining company that struck gold in the small East African country of Eritrea is being accused in a B.C. lawsuit of permitting forced labour to be used in the construction of its mine. The allegations filed by three former Eritrean conscripts in B.C. 's Supreme Court accuse Nevsun Resources of being "an accomplice to the use of forced labour, crimes against humanity and other human rights abuses at the Bisha mine." The lawsuit contains untested allegations of beatings, torture and cruel and inhuman treatment of workers at the hands of the Eritrean government. Nevsun denies the allegations. "We've done extensive investigations," Todd Romaine, Nevsun's vice-president of corporate social responsibility, told the fifth estate. "There's no corroborating claims to support any of the allegations being made." Nevsun went into business in Eritrea in 2007, operating a mine in the mineral-rich area near the town of Bishia in central Eritrea. In that first year of production alone, Nevsun reported revenues of $548 million US. 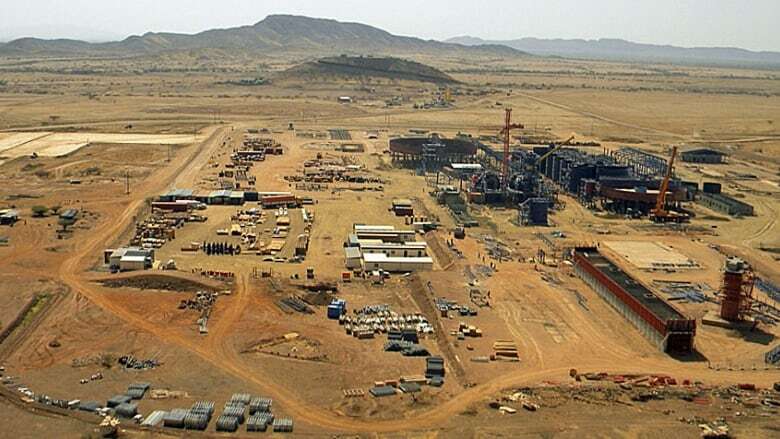 Its Bisha mine is 40 per cent owned by the Eritrean regime, a brutal dictatorship that the UN Commission of Inquiry on Eritrea accused of human rights violations that may constitute crimes against humanity in a special report last June. Eritrea's President Isaias Afwerki, once a freedom fighter, has been criticized by a former U.S. ambassador to Eritrea as "an unhinged dictator." In 1995, Afwerke introduced military conscription to Eritrea. This means that everyone in the country under the age of 50 is forced to serve in the military for an indefinite period. In affidavits filed before the B.C. Supreme Court in 2015, three men allege human rights abuse and conscripted military labour in the construction of the mine. These claims could not be independently verified. the fifth estate tracked down two of these men in a refugee camp in Ethiopia. One of them, Kesete Tekle Fshazion, says that while he was officially released from the military in 2003, he "remained effectively under the control of the Eritrean military," until he fled for Ethiopia in 2012. Fshazion says he started working at the Bisha mine at the end of 2008. "The entire time I worked at the Bisha mine, I was not there of my own free will," he said, in his affidavit filed in October 2015. "I believed that I could not refuse the assignment to the Bisha mine because if I had refused, the authorities would have detained me and I would have been severely punished." Mihretab Yemane Tekle was another Eritrean tracked down by the fifth estate who also says in his affidavit that he was forced to work at the Bisha mine. He says he arrived there in February 2010 along with about 50 other men from his battalion, and was assigned to work on the construction of the tailings pond. "Temperatures there were sometime as high as 47 degrees Celsius," Tekle said in his affidavit. "The black plastic sheets with which we worked only intensified this heat, and there was no real shade available to us to shelter us from the sun." "Many conscripts caught malaria … were also prone to diarrhea and numerous other illnesses as a result of our weakened state and the extremely difficult conditions in which we worked," he said in the affidavit. He also said he witnessed conscripts receiving severe forms of punishment for simply leaving the camp overnight. "What scares me is that some spies may pose as refugees from Eritrea, as they come everyday, and maybe some will come and put our lives at risk," Tekle said in the affidavit. 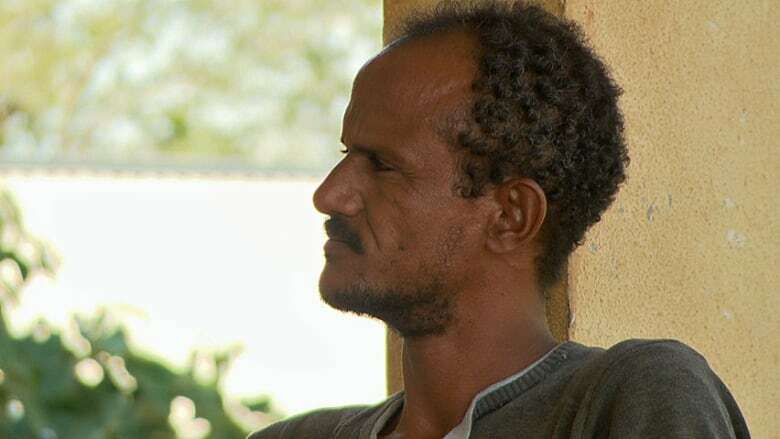 At the refugee camp in Ethiopia, Tekle told the fifth estate that he believes that people from the Eritrean government would try to harm or even kill him before he had a chance to testify. "My wish was to leave [here] before the case began. But now that it has started, I fear for my life." Last June, the UN released a scathing 484-page report on human rights abuses in Eritrea, including the allegation of forced labour at the Canadian mine during the construction phase. "Unfortunately the United Nations methodology in this case was very biased, selective, it only included people from outside the country," Romaine told the fifth estate. Eritrea did not let the UN Commission of Inquiry into the country as it prepared its report. The UN had other concerns. A UN Security Council group has long accused Eritrea of supporting al-Shabaab and other armed guerilla groups in the Horn of Africa. Once revenues from the mine were flowing to the Eritrean government after 2011, the UN investigators wanted to know if the Eritrean regime was using any of its revenue from the mine to continue to support rebel groups in the region. "I can't comment on government policy," Romaine told the fifth estate. "What I can say is our company is fully transparent with all the monies that are generated from the Bisha mine." But that's not how the UN sees it. In 2014, the Security Council Monitoring Group reported that Nevsun "refused to disclose" information on how payments were transmitted to the state of Eritrea, citing "confidentiality agreements." 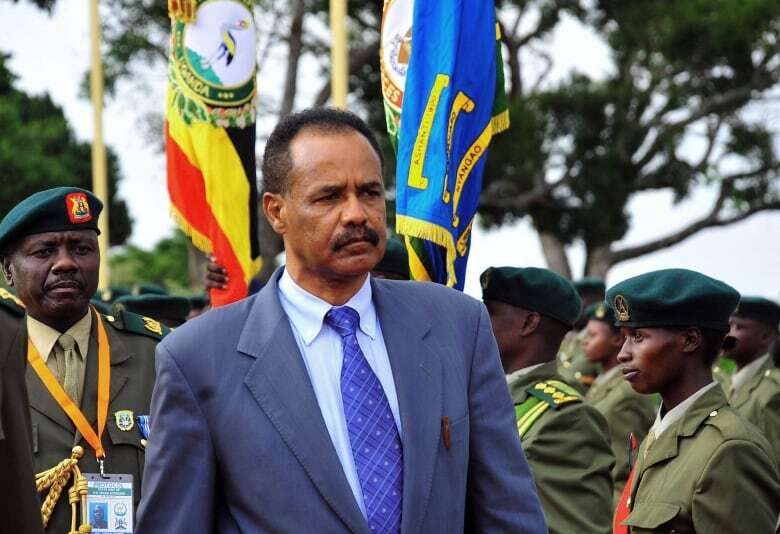 Nevsun told the monitoring group that questions "should be directed to the state of Eritrea." But when the UN asked the Eritreans for banking information, they passed the buck back to the Canadian company, telling UN investigators they "should direct specific questions to Nevsun." 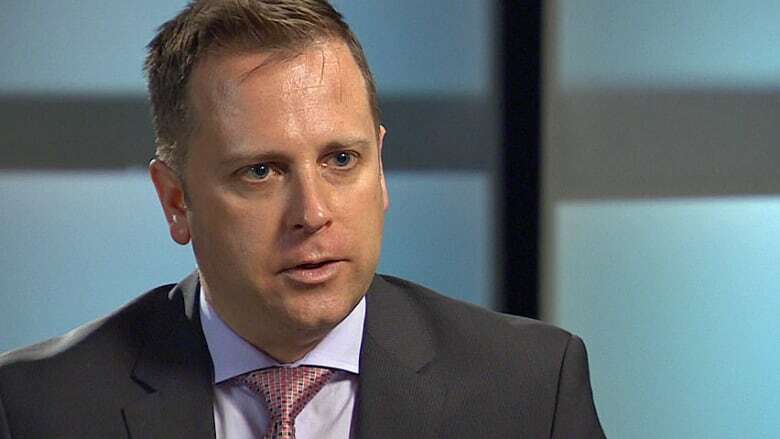 The Vancouver company has expanded its mining operations in Eritrea, and it believes there's enough zinc and copper in the ground to keep making money at the mine until 2025.